B&W’s first noise-cancelling headphones sound so good that you’ll happily to live with their quirks. How are the B&W PX designed? How do the B&W PX sound? 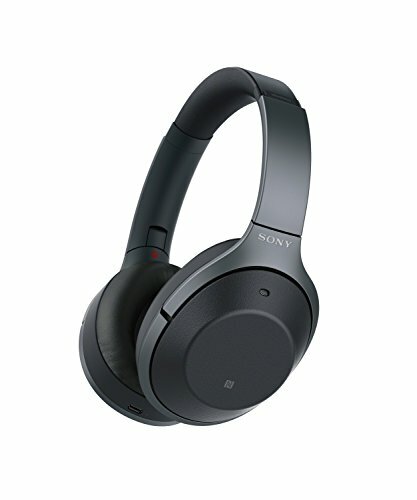 Do the B&W PX provide good noise cancellation? Do the B&W PX have any flaws? What's the bottom line on the B&W PX? 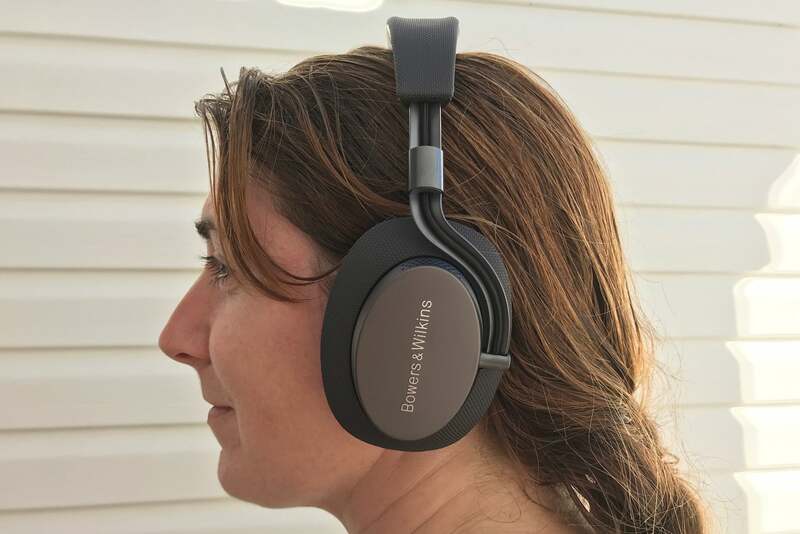 Bowers & Wilkins tends to be fashionably late when it comes to rolling out new wireless products. In the time it took for the company to design the $399 PX Wireless Headphones, companies like Sony, Bose, AKG, and Sennheiser have dropped multiple models of active noise-cancelling models.. This is par for the course for the British manufacturer. Its iconic Zeppelin speakers see infrequent reiterations, and the company tinkered and watched its competition for years before releasing its first Bluetooth headphones, the sublime P5 Wireless. After testing the PX Wireless for a week, I can say the resulting hardware was mostly worth the wait. Available in gray to match an iOS device or a satin-finished gold and blue to match your Victorian-era British Admiralty uniform, the PX maintains Bower & Wilkins’ unmistakable industrial design, but breaks with the company’s traditional steel and plush leather good looks for a lux modern vibe. The leather’s still there, though—the inside of the PX’s headband and its over-the-ear cuffs are finished with luxuriously soft padding and leather that’d be at home in a Lexus or Lincoln. A plush leather headband and ear caps make the PX comfortable to wear during long listening sessions. 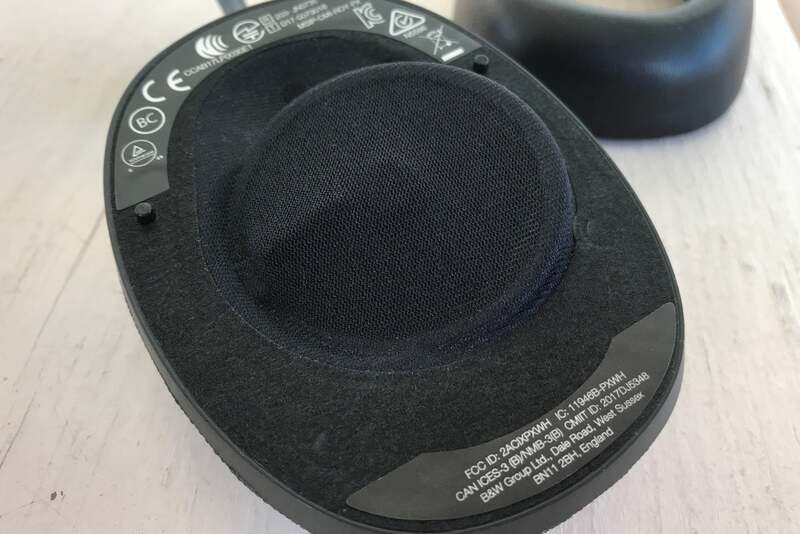 As with their P5 Wireless and P7 Wireless headphones, the PX’s controls are found on the back of the right ear cup. The buttons are easy to landmark and can be used to turn the headphones on/off or pair them with a new device, adjust the volume, play or pause your music, accept calls, and turn the PX’s active noise cancellation on or off. Additionally, sensors in the ear cups make it possible to pause what you’re listening to by simply removing the headphones from your ears. Slip them back on and your audio will start again. I found this feature reliable while wearing glasses, a winter toque, or with nothing more than my bare skin up against the cups. The functionality of the headphones can also be tweaked via a free app available via Google Play or the iTunes App Store. For the time being, the options available in-app are limited to a few simple tricks: users can adjust the level of noise cancellation, the sensitivity of the ear cup play/pause sensors, change the name of their headphones, or reset them to their original factory settings. 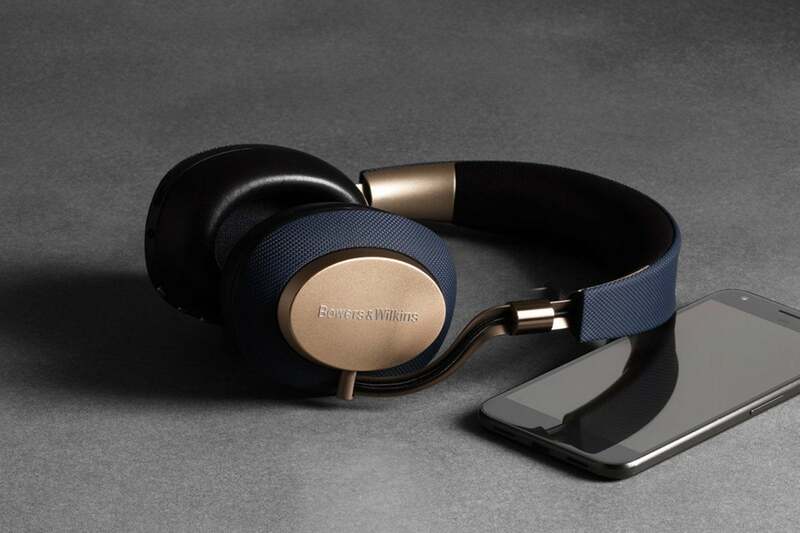 It’s possible to use the headphones without the app installed on your smartphone, but you shouldn’t: Bowers and Wilkins plans to use the app to push out firmware updates and new software features to the PX. As these are Bluetooth headphones, you should know that the PX delivers up to 22 hours of listening time with ANC engaged, 29 hours without ANC, 33 hours of use with ANC over a wired connection, and 50 hours of ANC-free listening when tethered to your music device with a wire. I found these battery times to be roughly accurate. The PX’s volume, track, and ANC controls are easy to landmark and use. The PX support the aptX codec and boast 40mm drivers that are very similar to those found in Bowers and Wilkins’ bank-account-busting P9 Signatures. These drivers are angled to fire music directly into your ear canals, while at the same time, providing plenty of space for air to get pushed around. 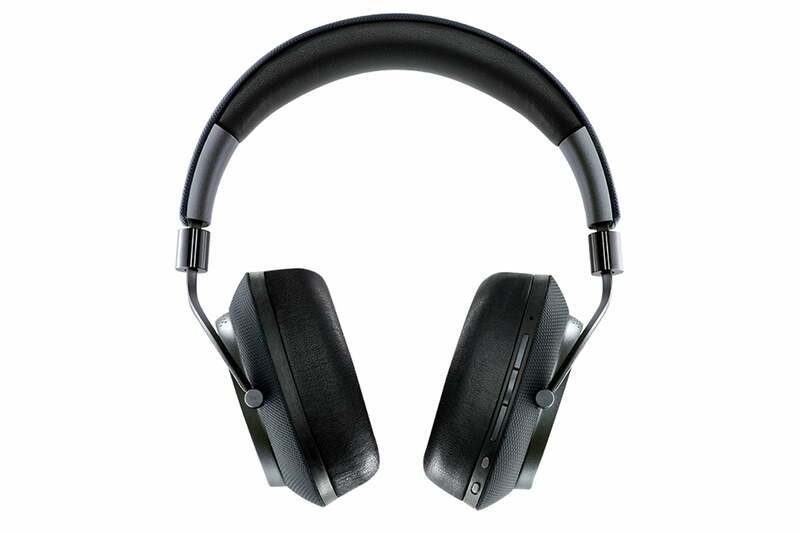 The headphones offer a frequency range of 10Hz to 20kHz and a passive-impedance of 22 ohms. B&W’s spec sheet for the cans states that the PX provide less than 0.3-percent audio distortion at 1kHz/10W and have a sensitivity of 111dB/V at 1kHz. In addition to this, B&W baked a chip into the PX that upsamples any audio played through them to 768kHz. In plain English, all of this means that the PX are designed to sound very, very good. Over the week that I tested the PX, I found that the headphones produced deep, warm bass with punchy mid- and high-frequency sound. If you listen to dance music, modern rock, pop, or R&B, you’ll be thrilled with how the PX sound. If you’re into classical music, folk, or other genres that lean towards a less forward-sounding audio, you might be happier with something like the Bose QC 35. Me? I could listen to these things all day—and I have been. The PX has similar drivers to Bower’s & Wilkin’s insanely expensive P9 Signature Headphones. Mark Ronson’s "Feel Right" (from Uptown Special) rattled my head with its bass line and the warm, round thump of the kick drum, without trampling over the track’s horn section. The grind of the guitar in Bee MC’s "Meat Shaking" (Cash is King) felt as sweet and painful as if I were standing in the same room with the band. While listening to The Gloaming’s 16-minute long "Opening Set" (The Gloaming), the PX’s soundstage offered enough separation that I picked a harmonium droning away in the background—I’ve listened to that track for years without noticing that detail. On the downside, I detected a bit of low-frequency hiss invading the audio when activating the PX’s noise cancellation at any level. It’s most noticeable at lower volume and becomes unnoticeable at 50-percent volume and above. I don’t feel this minor degradation to the PX’s audio quality will bother to any but the most stringent audiophiles. Phone calls taken on the PX sounded solid, too. With the headphone’s noise cancellation on, calls were rendered comprehensible, even in loud environments. Since we’ve opened a can of worms on the topic, let’s talk about it. 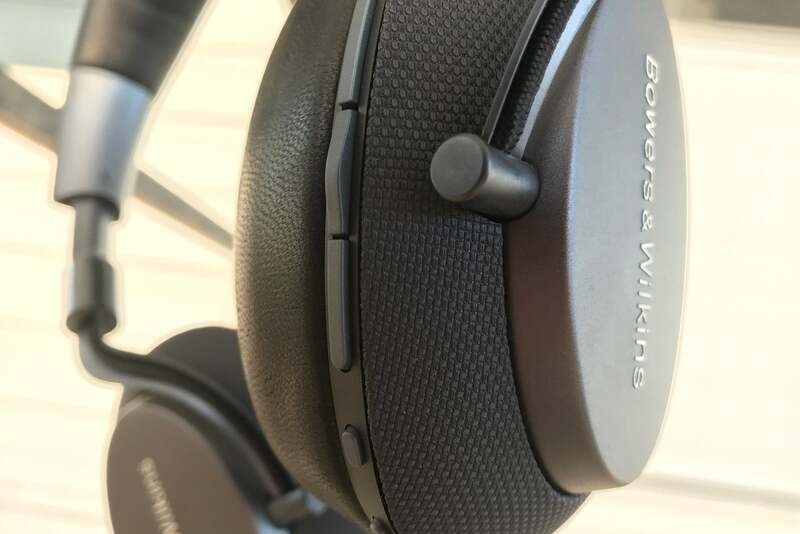 As I mentioned earlier, the Bowers & Wilkins Headphones app allows PX owners to adjust their headphone’s noise-cancellation level: Flight mode blocks out the maximum amount of noise, City provides users with a smattering of situational awareness, and Office, according to B&W, will block out background noise but allow you to listen to your coworkers blather on in the immediate area (does anyone actually want that?) 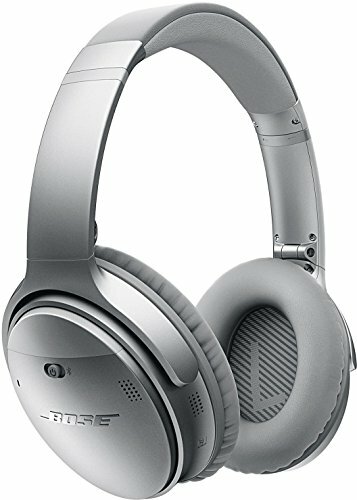 Bose’s QuietComfort 30 offer similar scalable noise cancellation. Personally, I’ve never wanted less noise cancellation—on or off suits me just fine. The PX will look familiar to anyone who's been watching Bowers & Wilkins design headphones since 2010. When switched to their maximum noise-cancellation setting and listening to tunes at 50-percent volume, I was unable to hear all but the most immediate noises, such as the suggestion of a conversation taking place directly next to me. Testing them against the noise made by a house full of kids hopped up on Halloween candy, the drone of public transit, and the chaos of a bustling mall food court, I found that the PX’s noise-cancelling engine and plush ear cuffs were more than up to the task of keeping me sane and able to hear my music. Aside from the step-down in audio quality that engaging the PX’s noise cancellation causes, there’s not much to complain about. You should know that the first set of headphones that Bowers & Wilkins sent out to me had to be sent back: they refused to stay powered on for more than a few minutes at a time. The new set I was issued, however, have worked flawlessly. I’m not thrilled by the fact that, despite coming with a cable for plugging into a 3.5mm port, the PX can’t be used passively. Once you’ve drained the batteries, you’re hosed. I was also disappointed to discover that while the PX charge via a USB C connection, the USB C port in the headphone’s cup can’t be used to channel audio. 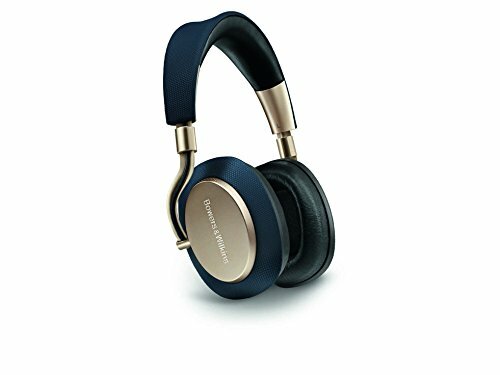 And then there’s the price: At $400, the PX cost roughly $50 more than competing headphones like the Bose QuietComfort 35 or Sony’s WH-1000XM2. Provided you can live with their quirks, the Bower’s & Wilkins PX headphones’ excellent audio fidelity and solid noise cancellation make these a set of headphones all but the most fussy audiophiles will be happy to own. A few minor quirks aside, Bowers & Wilkins PX wireless headphones offer equal measures of great audio and adequate noise cancellation.